Why are lesbians so biphobic? 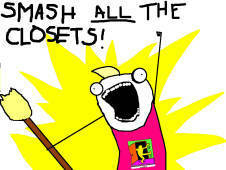 Biphobia in the lesbian community manifests itself in many different ways. 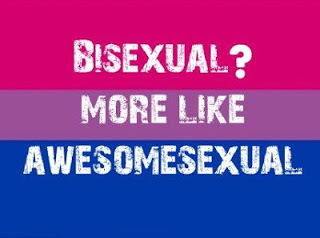 Bi women call themselves “queer” or “gay” even when they feel that “bisexual” describes them better, because they’ll be more accepted that way. Lesbians refuse to date bi women. Bi women find their sexualities under constant scrutiny by their fellow queer women. There’s a lot more, too, which you should read about in Lucy’s post. What I’d like to do in this post is explore some of the reasons why I think some lesbians are biphobic, beyond simple prejudice and fear of the Other. Note that I’m a lesbian myself, but I have had bi women as romantic and sexual partners, and I am appalled by the way my bi friends and lovers have been treated by my fellow lesbians. I hope that if we understand the root causes behind these harmful attitudes, we can work to change them.